Princeton University will add 500 more students to the undergraduate student body, and build a seventh residential college to house them and make space for future increases in the student population. A report released this week details the framework for the strategic planning process as the school sets its course for the next decade and beyond. In many departments and programs, the needed faculty members for the expansion are already in place, according to the document. The report emphasizes keeping a longer-term perspective in mind. Princeton University will reinstate a small transfer admissions program in order to increase the school’s diversity, according to the report. The board of trustees approved the transfer program. 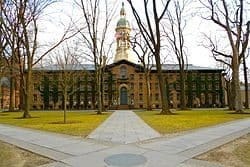 Princeton has not accepted transfer students since 1990.
to attract students with diverse backgrounds and experiences, such as qualified military veterans and students from low-income backgrounds, including some who might begin their careers at community colleges,” reads the report. size and anticipated growth rate for the Graduate School, according to the report. Princeton’s Graduate School has traditionally been smaller than the graduate schools of other outstanding research universities, and Princeton does not have the large professional schools that exist at some other Ivy League schools. Princeton has fewer doctoral candidates per faculty member than its peers. The University will need to add graduate students as it adds faculty members and expands into new areas of scholarship and research. In some cases the school will also respond to competitive pressures, affecting the number of graduate students per faculty member. Future growth rates will depend on a variety of factors, but school officials cited past experience as a very rough guide, saying the entering group of doctoral students at the school has grown by less than 10 percent over the past 15 years. The University will also focus on renovating buildings and on the use of other land the school owns. and government sectors as a priority. That board also reviewed the University’s endowment spending policies and raised cap on the target spending range from 5.75 percent to 6.25 percent. “This change, which the board approved effective July 1, 2015, serves two purposes. Like the earlier increase from 5 percent to 5.75 percent, it accommodates increasing market volatility that is likely to produce more rapid oscillations in the spend rate,” reads the report. “It will also reduce the likelihood that the University will make decisions that favor future generations at the expense of present ones, or that favor financial capital at the expense of human and physical capital. On July 1, the beginning of fiscal year 2016, Princeton’s spend rate was 4.12 percent. The board authorized the administration to propose an increase to the spend rate that would take place over fiscal years 2017 and 2018. The increase would provide resources that the University could use to co-invest with donors to fund strategic priorities. constraints, and describing major priorities. Several task forces have already published reports, and others will do so in the months to come. The reports are being posted on the Princeton University website. Nice to know they still plan to screw graduate students well into the future. We’re already there and have been for a while. I graduated in ’87. Flipping through the yearbook then, I recognized only about a third of the faces, out of 1100 students per year. I didn’t even see our most recognizable classmate until Reunions just before graduation (B. Shields) – different social and academic circles. I know it’s just 125 more kids per class, but every little bit makes it more and more likely that a face will be a stranger. At some point it becomes as crazy and anonymous as a large university. But maybe it’s essential. There’s so much demand. There’s so much talent.